So how can it be done without TikZ? The lines are page frames obtained by showframe. 'With framed' has space between top frame and has no space between bottom. 'With tcolorbox' has no space between top and has space between bottom. In other words, the line ends precisely at the place where the content ends. 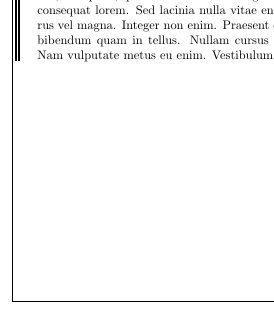 The way I see it, in both cases the rule begins and ends exactly where the text begins and ends. 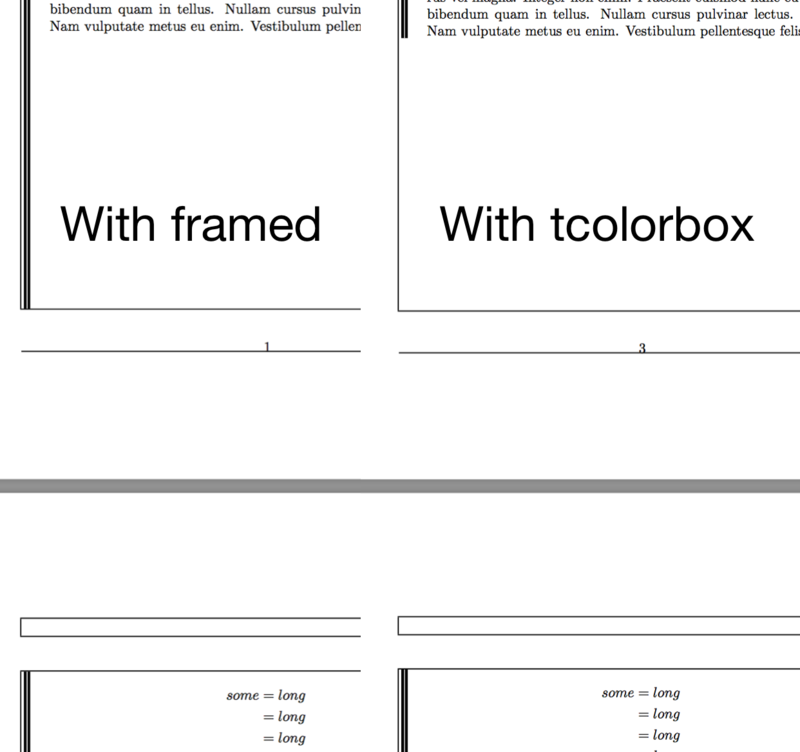 The difference is that, with tcolorbox, both text and rule are aligned to the top of the page frame, while with framed both are aligned to the bottom of the page frame. I give another example to show it's not true. 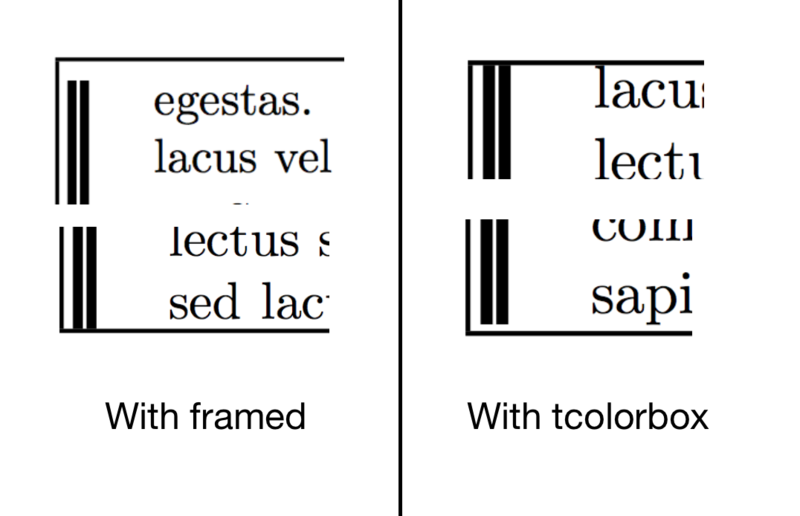 Edit: I put this example here so that we can easy to see wrong bottom spacing. So I still have wrong spacing with texts without math. Note the enclosing braces that make the change local: you still want to have the padding in other equations. Not the answer you're looking for? Browse other questions tagged page-breaking boxes rules framed or ask your own question. 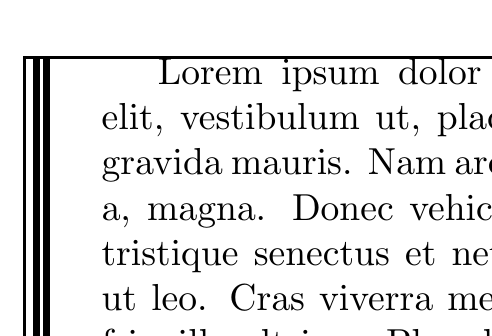 How to make continuous (but breakable) vertical rule along left side of paragraph? Multiple vertical rules along text – by using \leaders?